In Windows Server 2016 there is a built-in native Microsoft antivirus — Windows Defender, which is installed and enabled by default. In this article we’ll look at the features of Windows Defender in Windows Server 2016. By default, only the Windows Defender anti-virus engine is installed in Windows Server. To install the graphic interface of the Defender, install the server component GUI for Windows Defender using the Server Manager console (it is located in Windows Defender Features section). In Windows 10, when you install any third-party antivirus (McAfee, Avast, Kaspersky, Symantec, etc. ), the built-in Windows Defender is disabled. However, it doesn’t happen in Windows Server 2016. You have to disable the integrated antivirus engine manually (in most cases, it is not recommended to use several antivirus programs at a time on one computer or server). 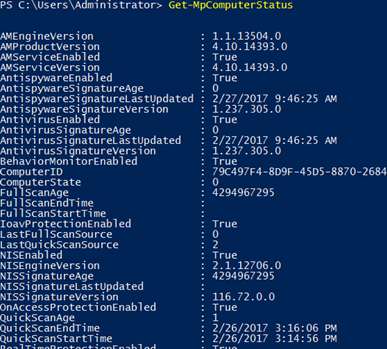 Let’s consider typical PowerShell commands to manage Windows Defender. The cmdlet displays the version and the date of the latest antivirus database update, enabled components, the time of the last scan, etc. After running this command, the antivirus won’t scan all files processed by the system on the go. You can set the list of exclusions – these are names, file extensions, directories to be excluded from the automatic Windows Defender scan. 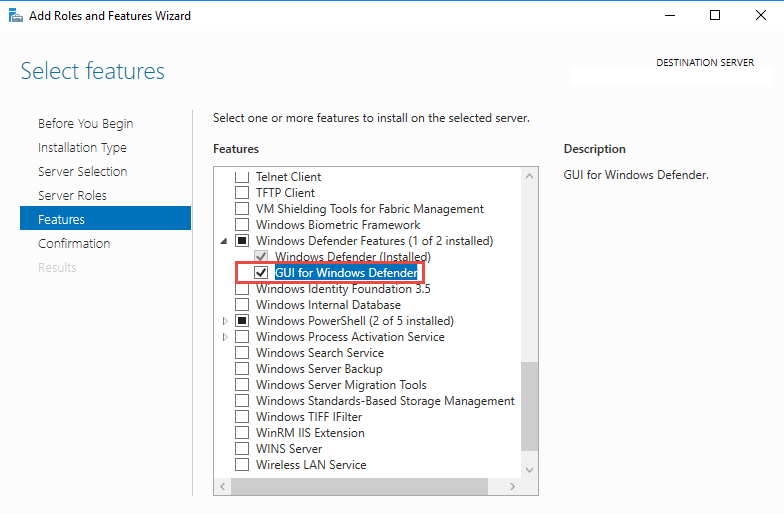 The peculiarity of Windows Defender in Windows Server 2016 is the automatically generated list of exclusions applied depending on the installed server roles. 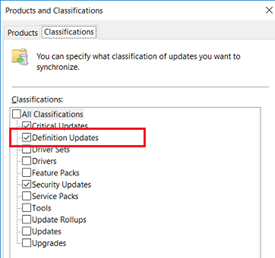 You must admit that it is logical to exclude the files of virtual and differencing disks, VHDS disks (*.vhd, *.vhdx, *.avhd), snapshots and other virtual machine files from the antivirus check if the Hyper-V role is installed. 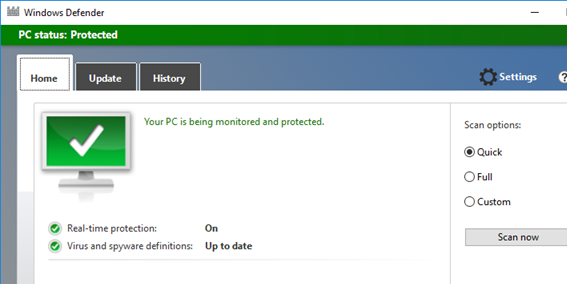 Windows Defender can automatically update online from Windows Update servers. If there is an internal WSUS server in your network, the antivirus can receive updates from it. You just need to make sure that the installation of updates has been approved on your WSUS server (the updates of Windows Defender antivirus databases are called Definition Updates in the WSUS console), and clients are targeted to the right WSUS server using GPO. Some reasons why Windows Defender doesn’t start in Windows 10 are described in the article Windows Defender Threat Service has stopped.